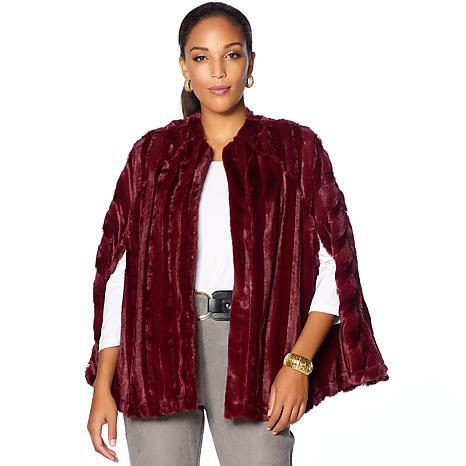 Easily paired with tees, tanks or turtlenecks, this faux fur mink cape goes a long way. 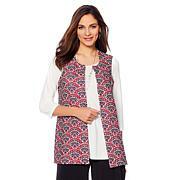 Add to any ensemble to create cozy-chic looks that make an incredible fashion statement. Slinky always knocks it out of the ballpark! I do t just want to wear this but sleep with it! It feels like silk and looks great on! This cape is perfect for Texas weather. I have gotten compliments on it every time I have worn it. Great price for the quality of this garment! I bought 3. They are light enough to wear over anything. Beautiful old Hollywood style faux fur cape. The price is right. Fun and completely in style! Very pretty and soft but it sheds and I wore black pants and fuzz was all over them. I like the simple style of this cape in a faux fur version but it looks incomplete without a lining. I hope all the faux fur pieces from Slinky will include a lining in the future as I'm a fan of the classics and old Hollywood glamour!